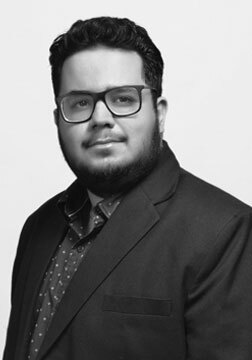 Sunchet has joined Talwar Advocates in 2015 after completing his Masters of Law (LLM) in Intellectual Property from the Queen Mary University, London. At Talwar Advocates, Sunchet takes care of pre and post registration processes of trademarks including trade mark clearance searches, filing and prosecution of trade mark applications, opposition, examination report replies and cancellation actions. Sunchet regularly advises clients on the availability and registration of trade marks, and also appears before the Trade Marks Registry and the Intellectual Property Appellate Board in connection with prosecution work. He is enrolled as a Facilitator for Start-ups under the Scheme for Facilitating Start-up Intellectual Property Protection (SIPP).